Founded in 1962 as part of the North Devon Surf Life Saving Club, the club has a record that few others can match. Past and present membership boasts national, international and world champions in this challenging and exciting sport. We welcome new members to all sections of the club starting from age 7 onwards and, as well as encouraging our members to compete regionally, nationally and internationally we are out there to keep fit, stay safe and have fun. The aims of the club are to raise awareness of dangers present on the beach and in the sea and to teach beach and sea safety along with lifesaving skills. In the winter months the club meets regularly in the swimming pool to maintain fitness where, again, training has an emphasis on lifesaving. The club provides the opportunity to obtain surf lifesaving qualifications at all levels. 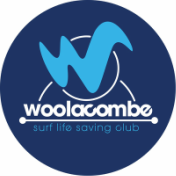 There are regular training sessions in the spring, summer and autumn on Woolacombe Beach, for both beach events; sprinting, running and beach flags, and for sea events which include swimming, rescuing with torpedoes and boards, board racing and surf skiing. Although many members own their own equipment the club provides equipment for all members, including newcomers, to use. Beginners are welcome in all sections of the club so please have a look around our site and we’d love to see you if you fancy giving it a go.